My card this week uses patterned paper, a die cut, twine and sequins but still has the integrity of CAS design because they are all used in smaller portions. I created my glow by inking a sponge daubber and pouncing it over the light bulb that had been stamped with Memento ink to reduce the risk of smudging. We all seem to have pads of paper we are hoarding so I love that you used some on your card. A good reminder that clean and simple can include patterned paper! Love it! what a bouncy fun sentiment!! it has a really happy feel to it! Darling design, Tracey! Love the pattern paper that you chose! The shading around the light is awesome!! So so sweet! I love the pop of pattern and the glow from the lightbulb. Adorable! I am loving this challenge and your card- WOW! Too too cute! 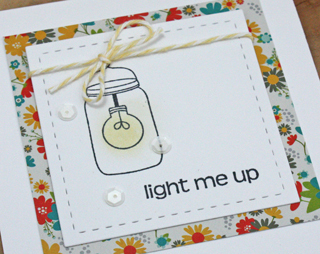 I love that look of the light in the jar, reminds me of the Pirates ride at Disneyland and you have the perfect patterned paper too, so sweet. I love the beautiful floral pattern you placed behind your focal point! 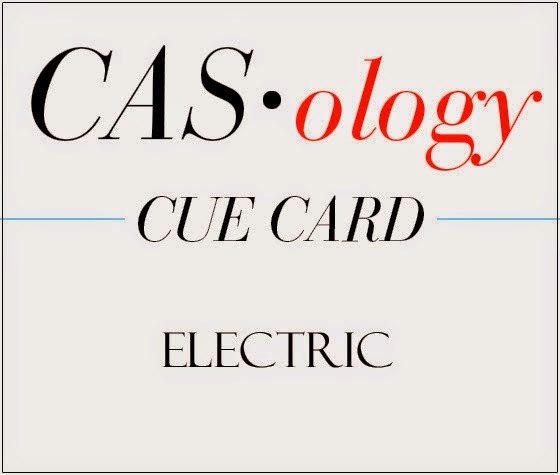 Such a gorgeous CAS design, Tracey...Love this card! This is just darling. I am so glad that we chose different stamp sets for this challenge, although we both had the same idea about how to make the light glow. 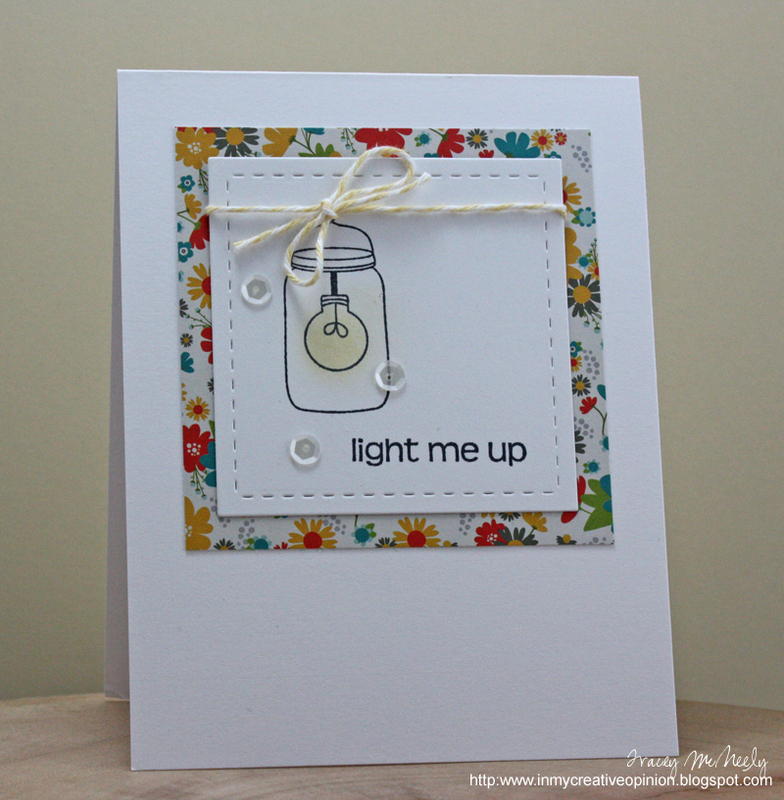 Tracey, I love this sentiment and light bulb image...so perfectly arranged and so perfectly CAS!